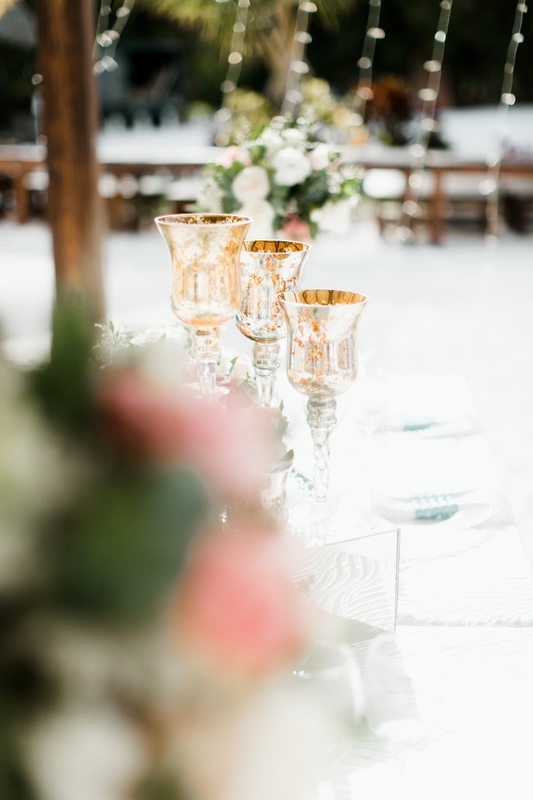 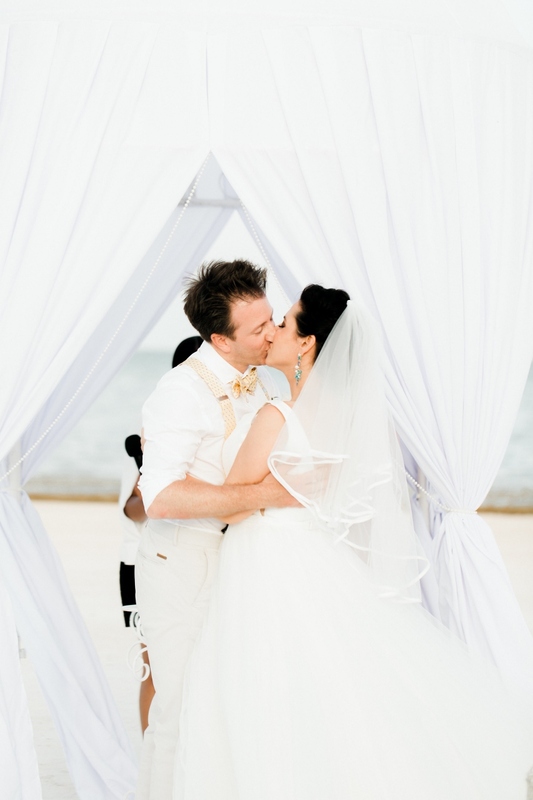 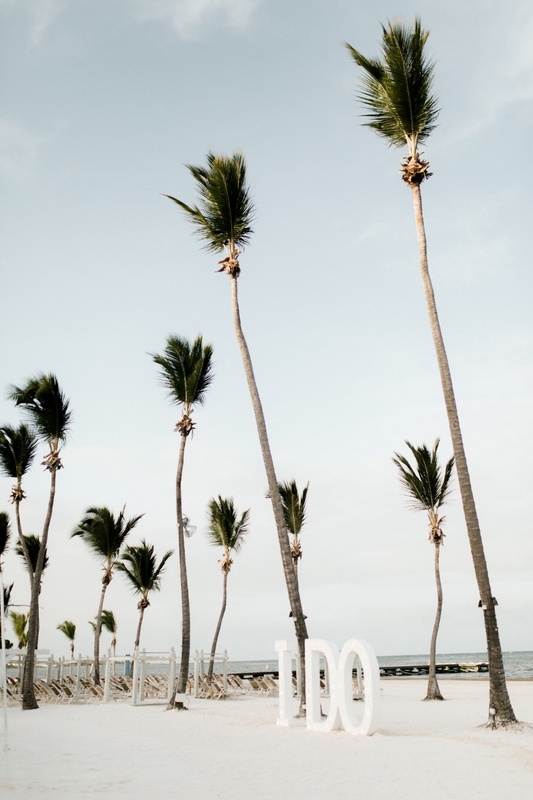 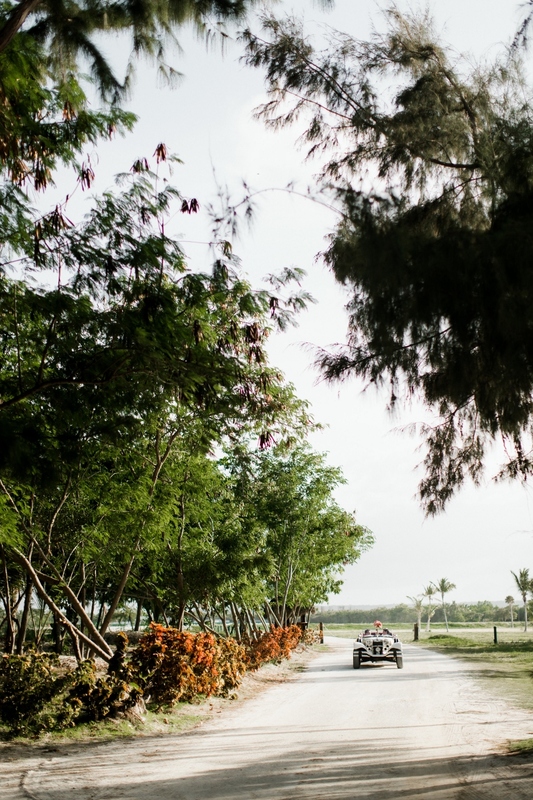 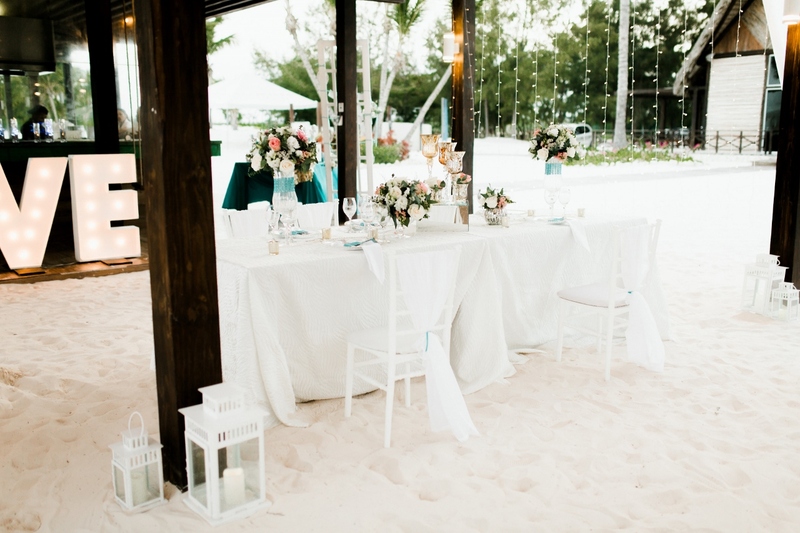 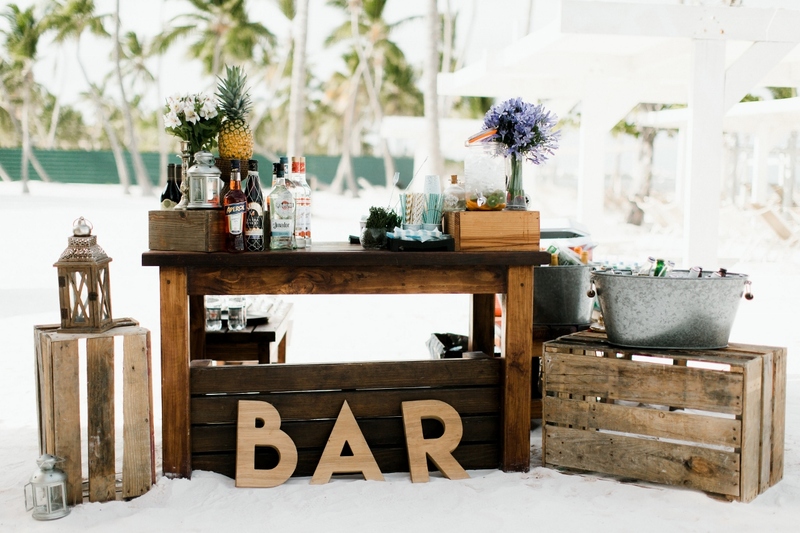 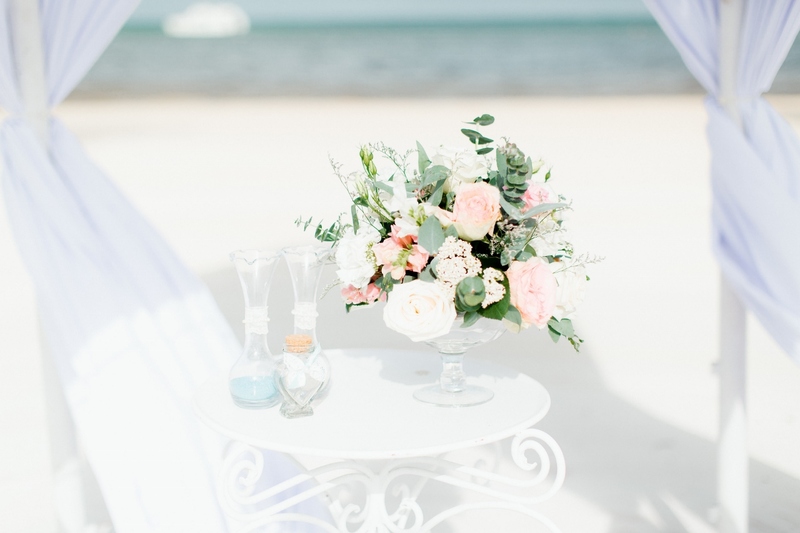 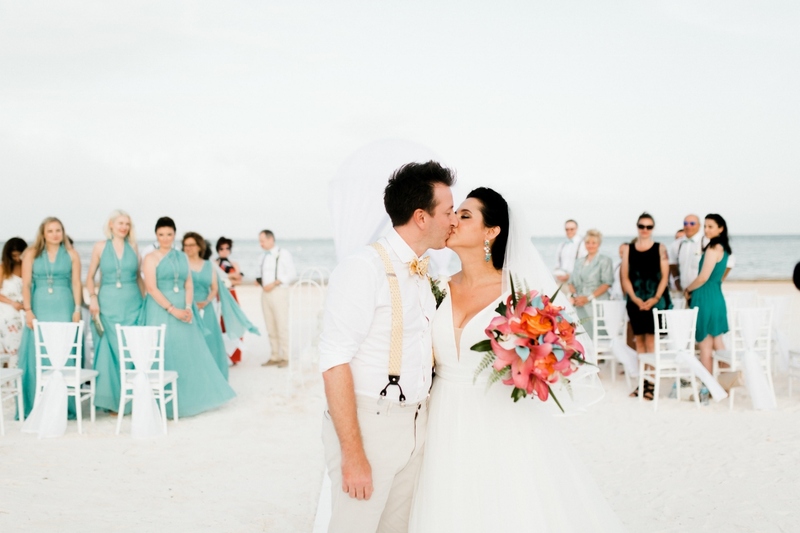 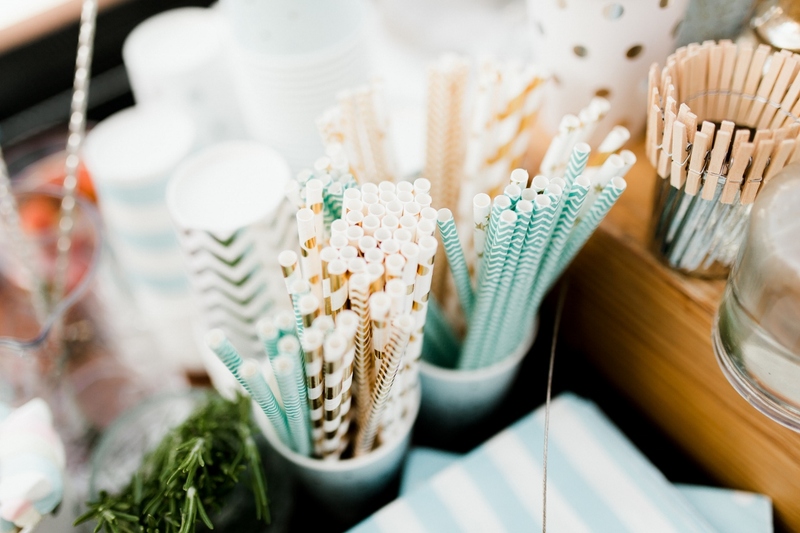 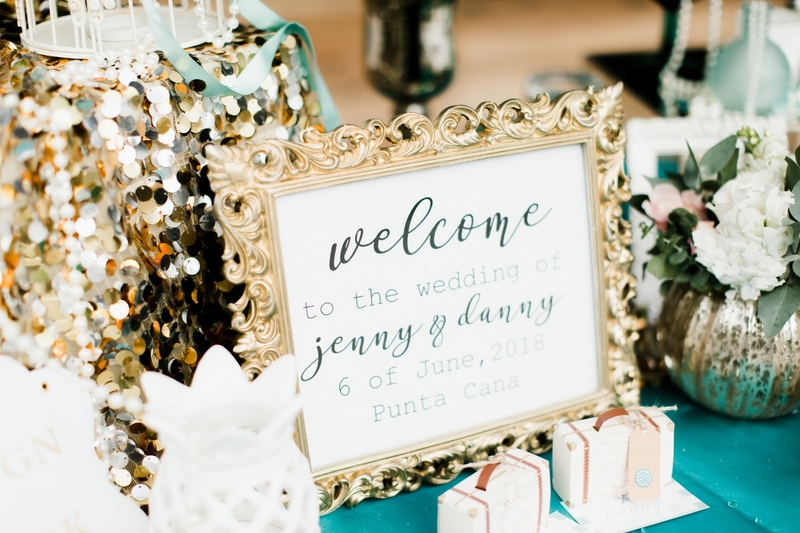 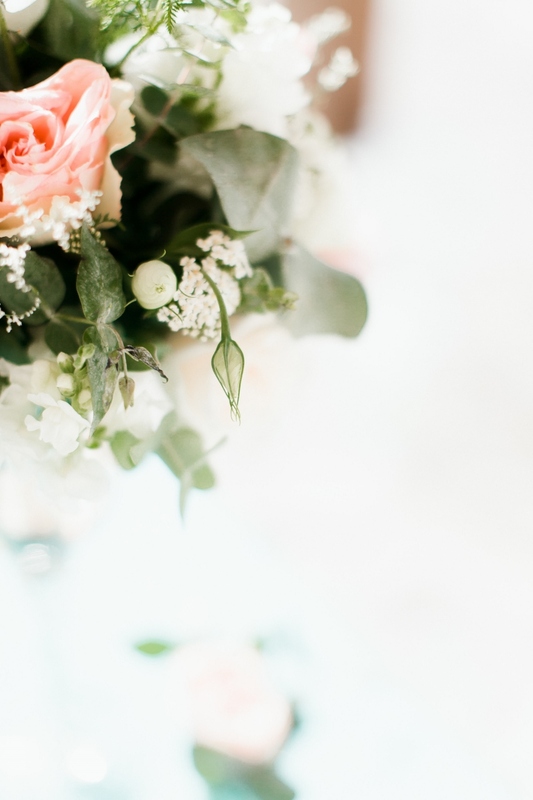 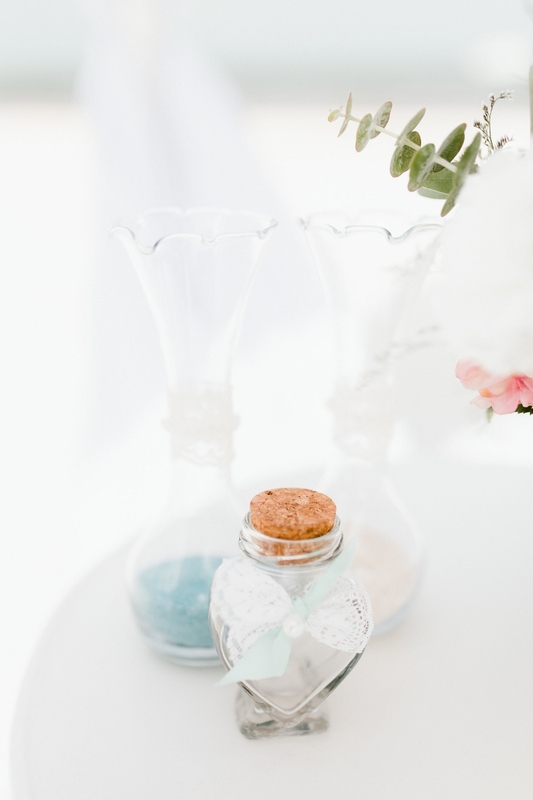 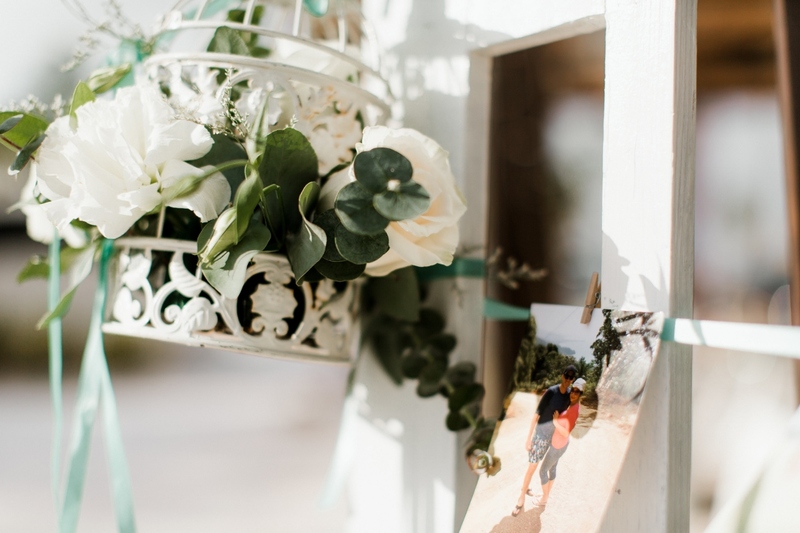 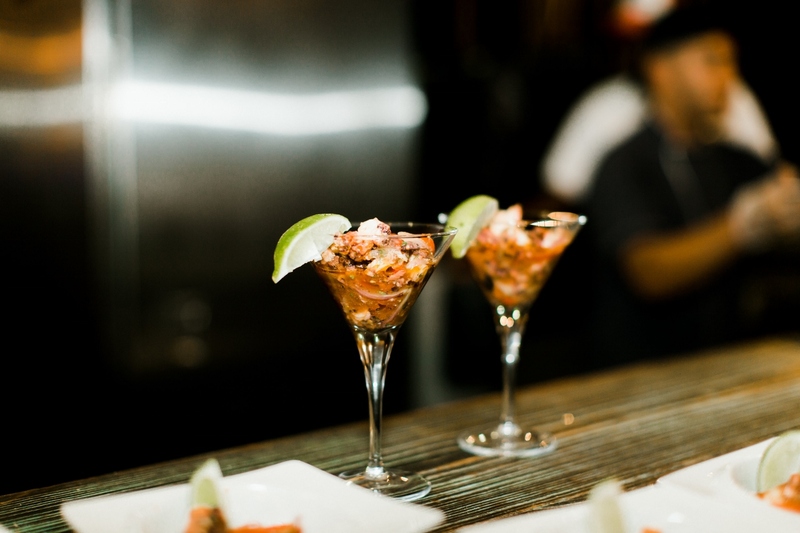 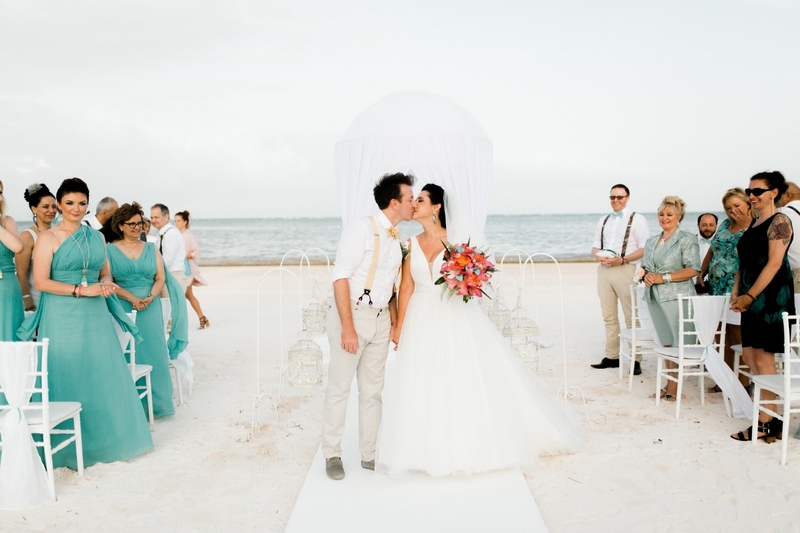 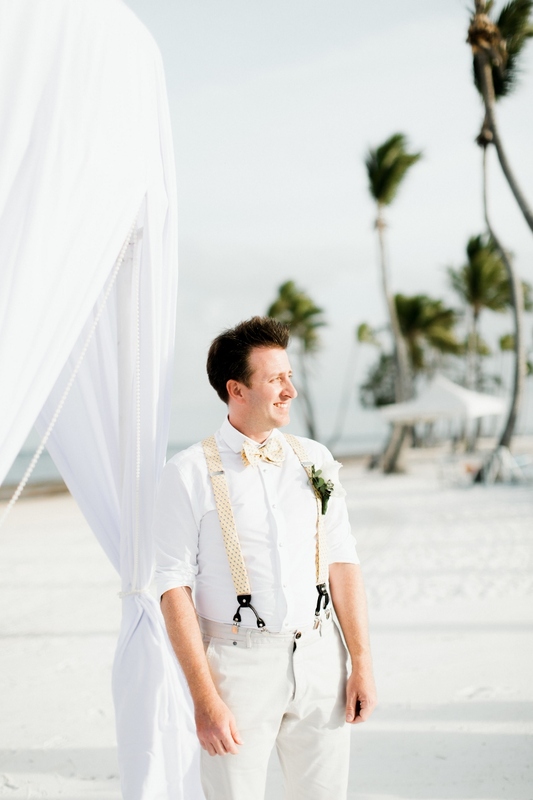 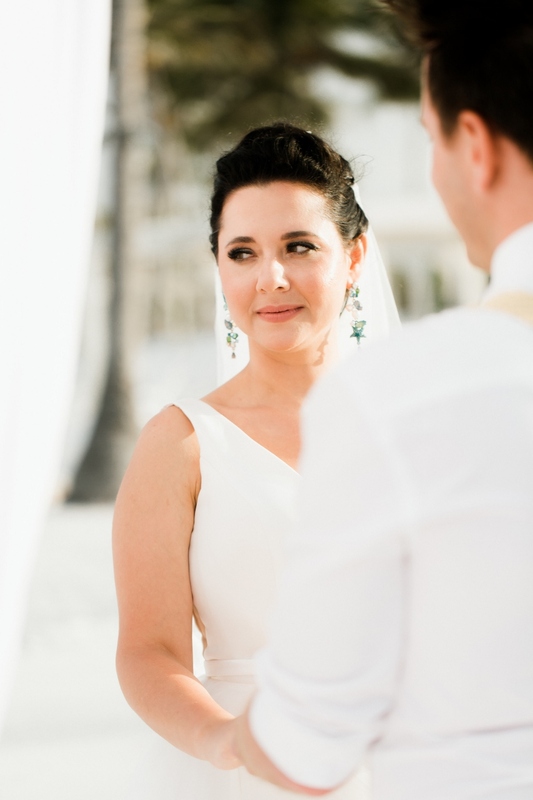 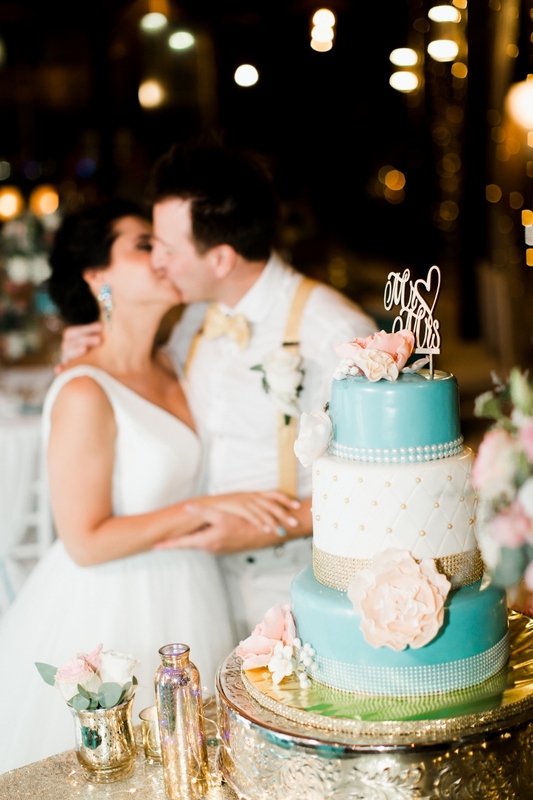 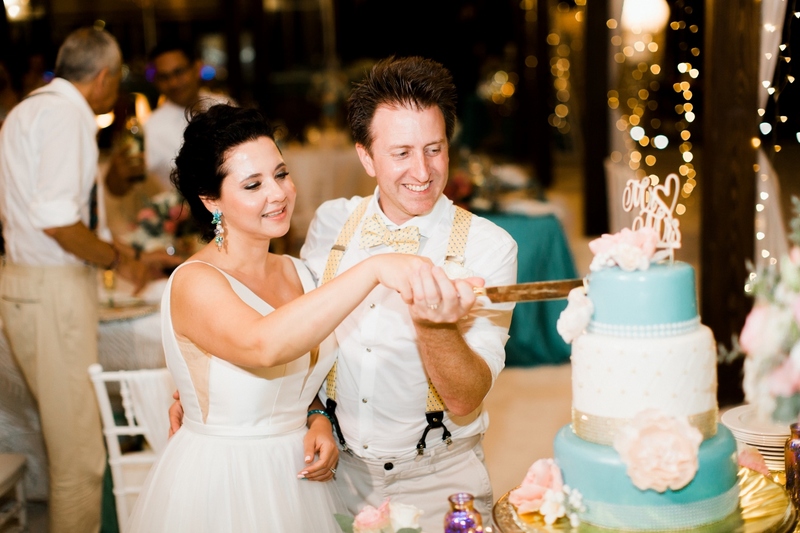 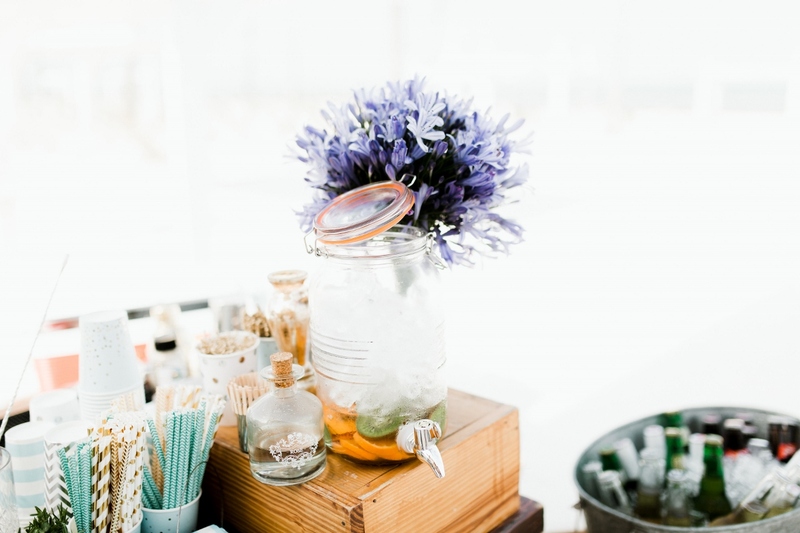 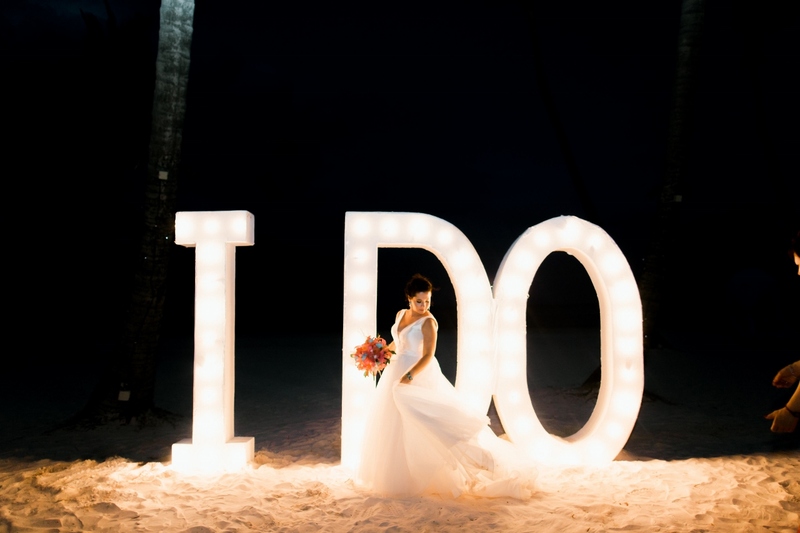 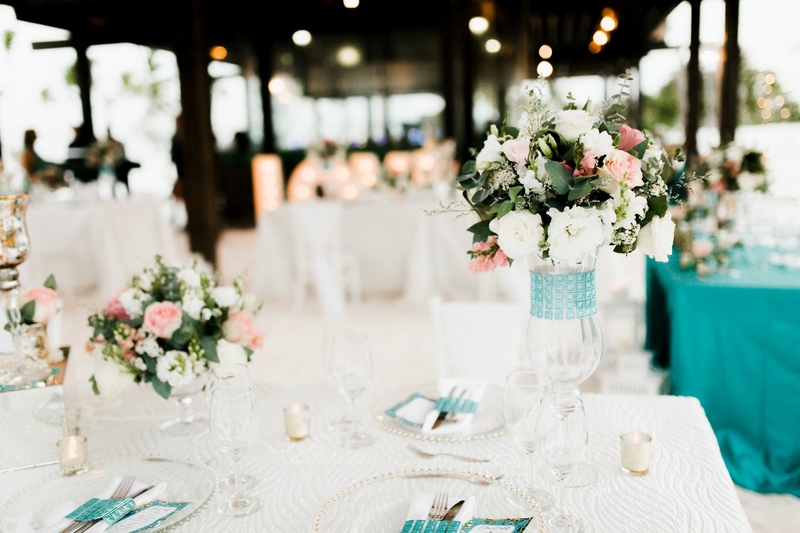 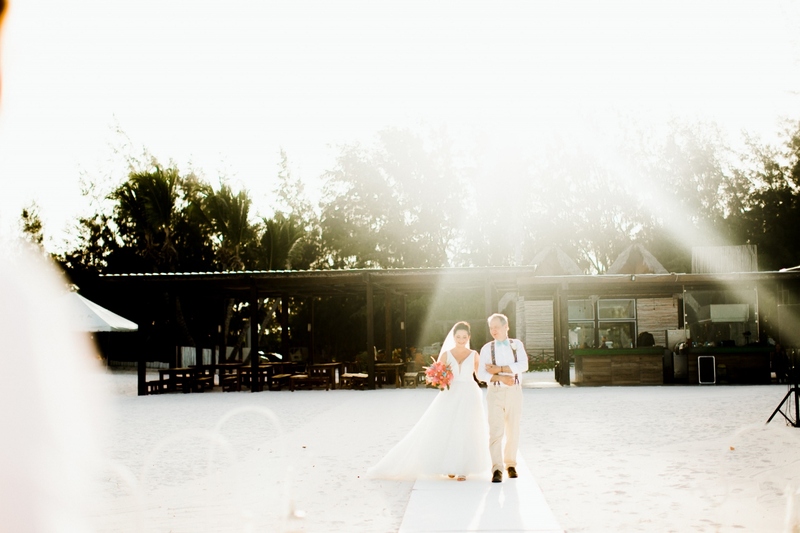 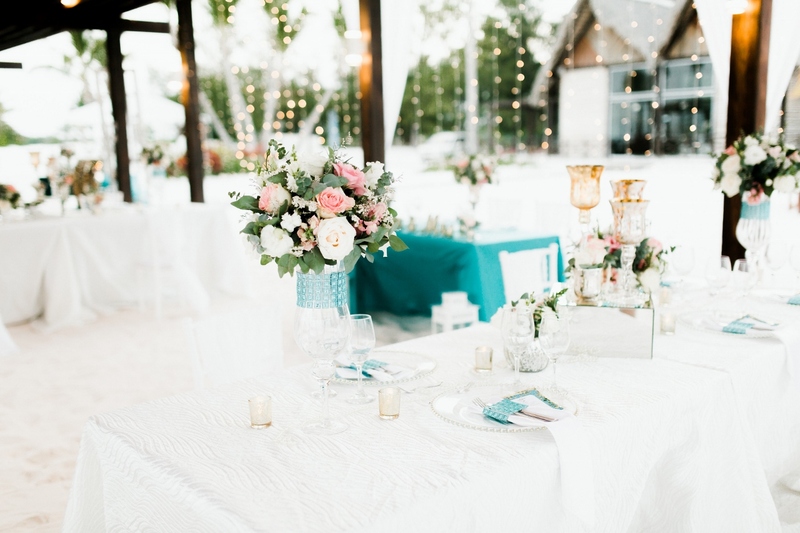 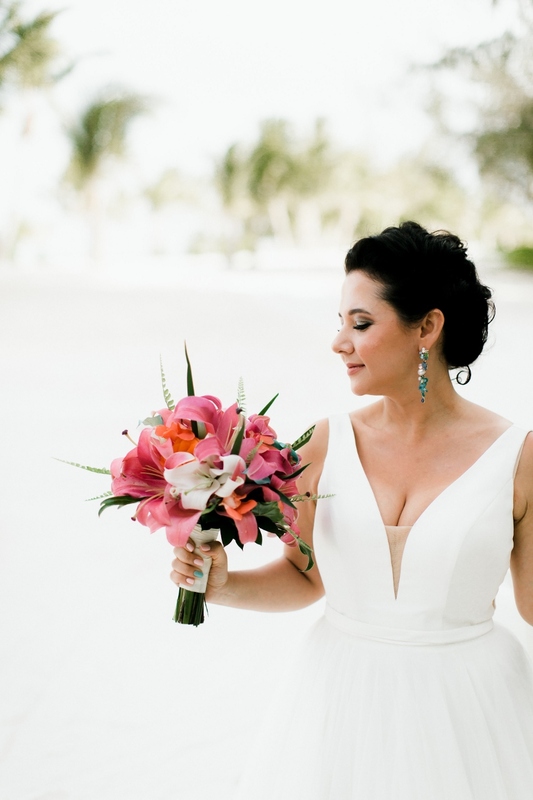 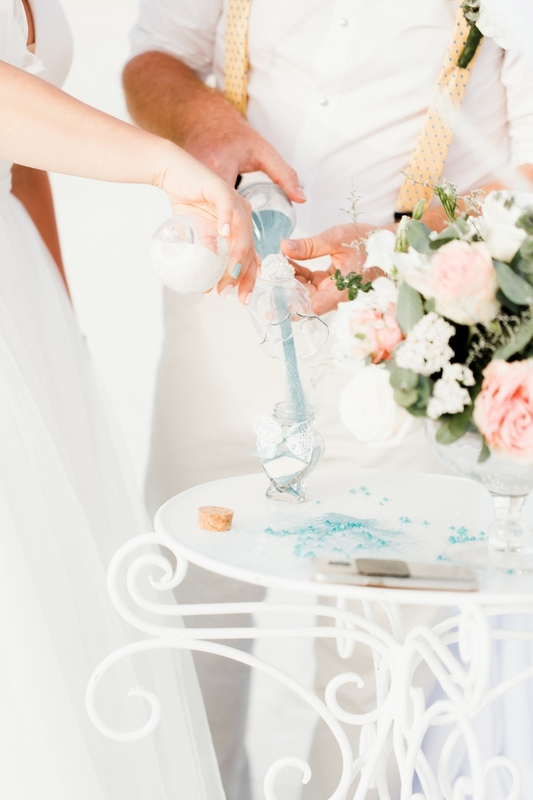 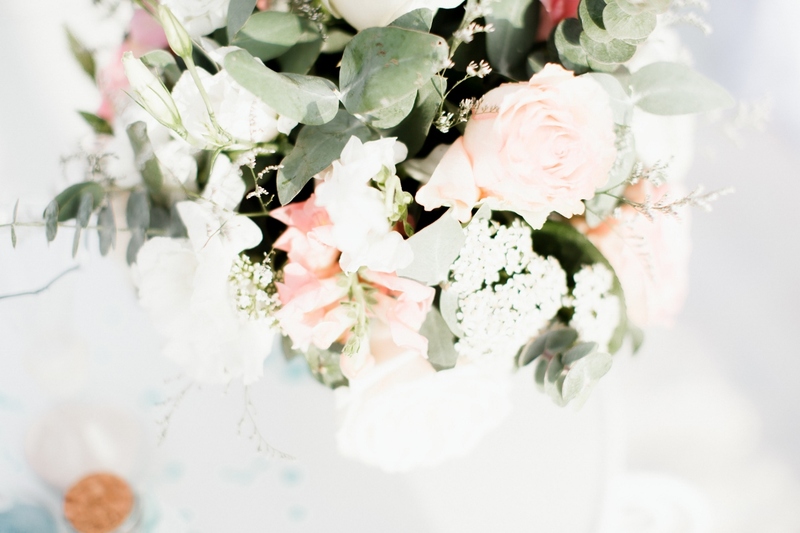 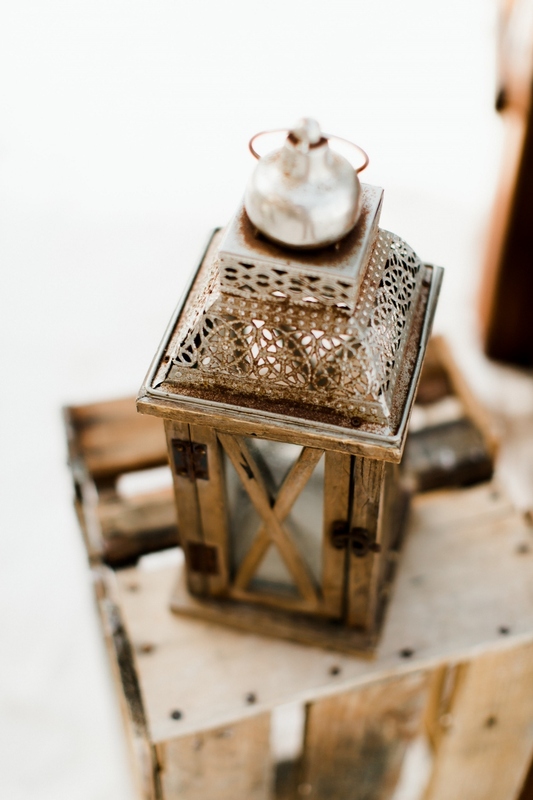 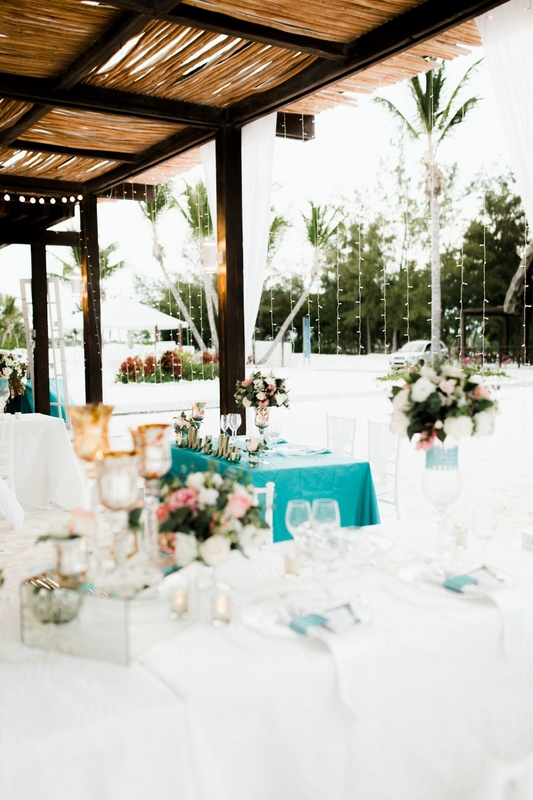 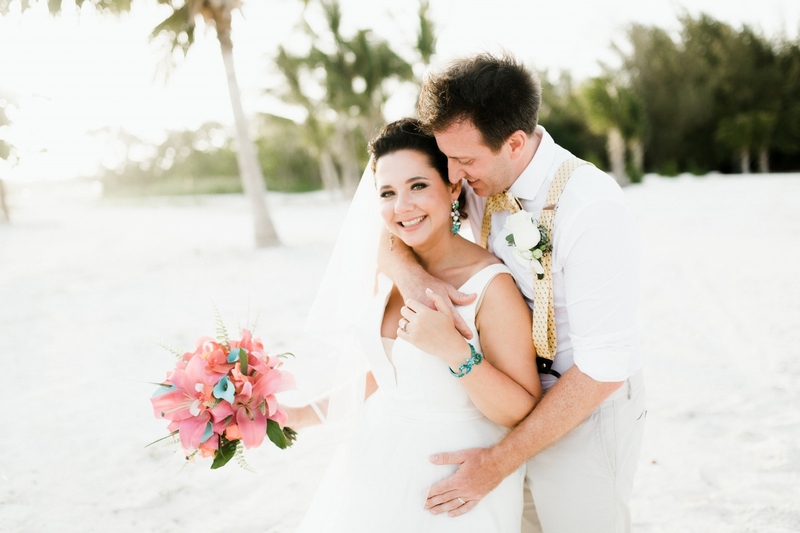 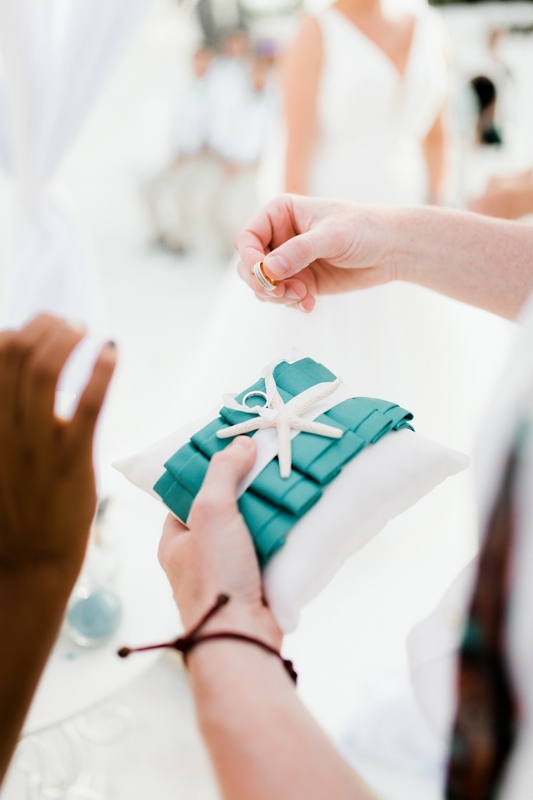 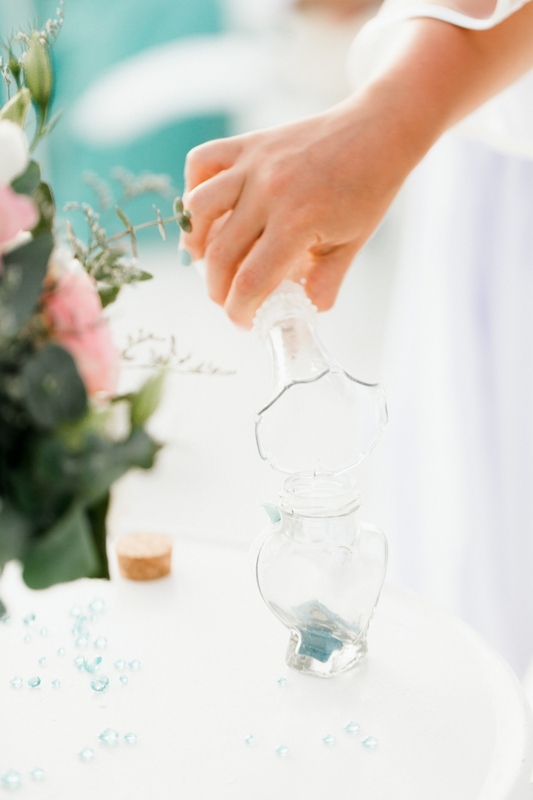 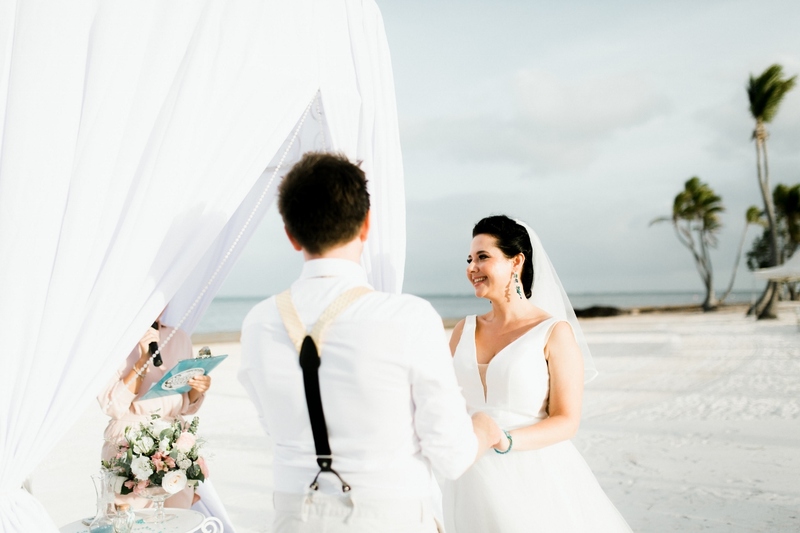 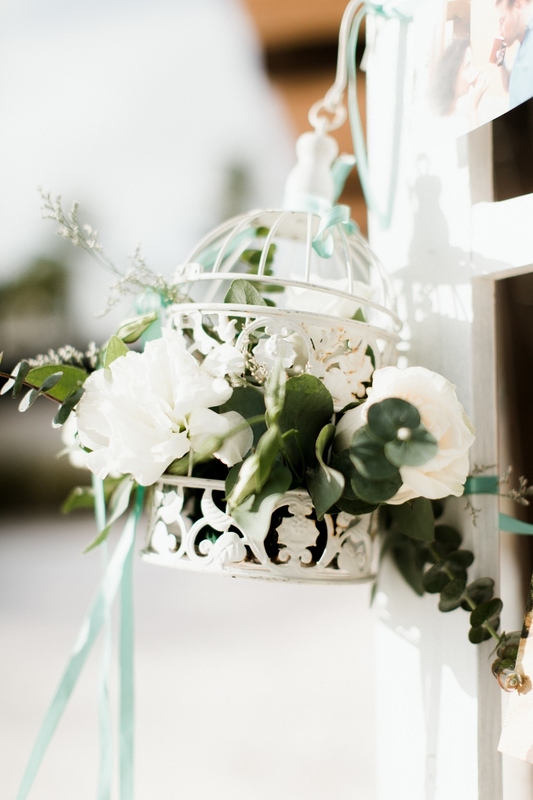 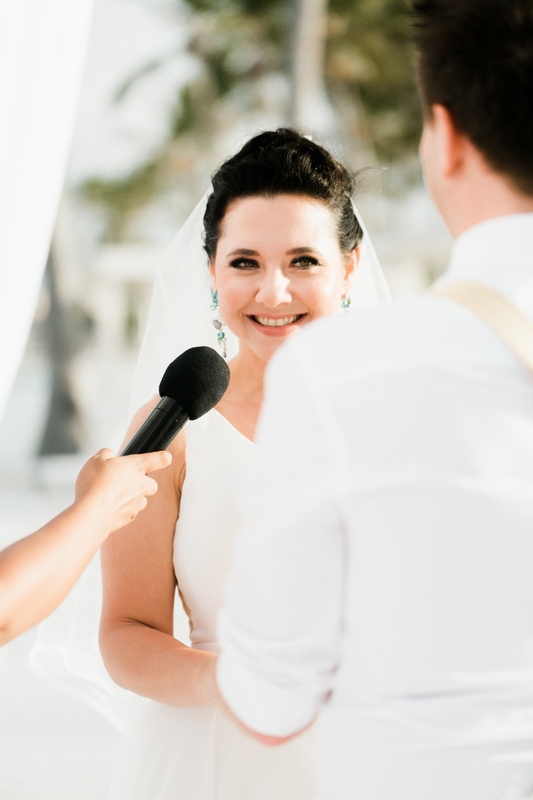 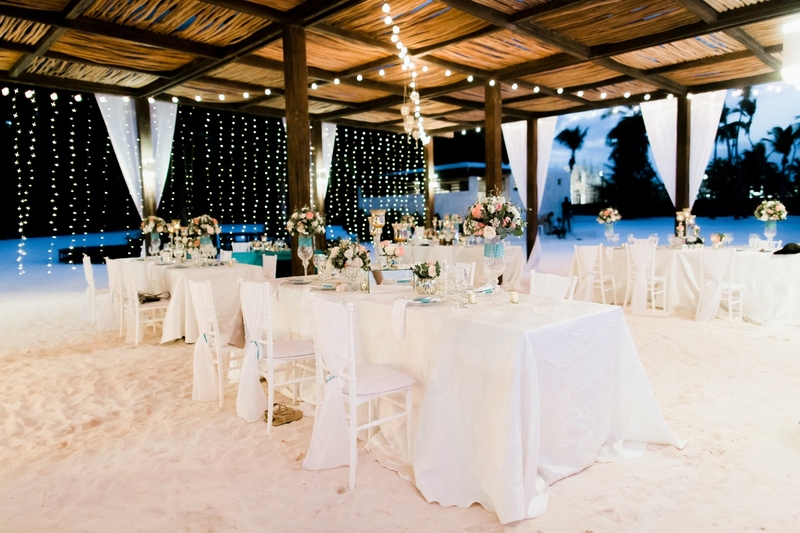 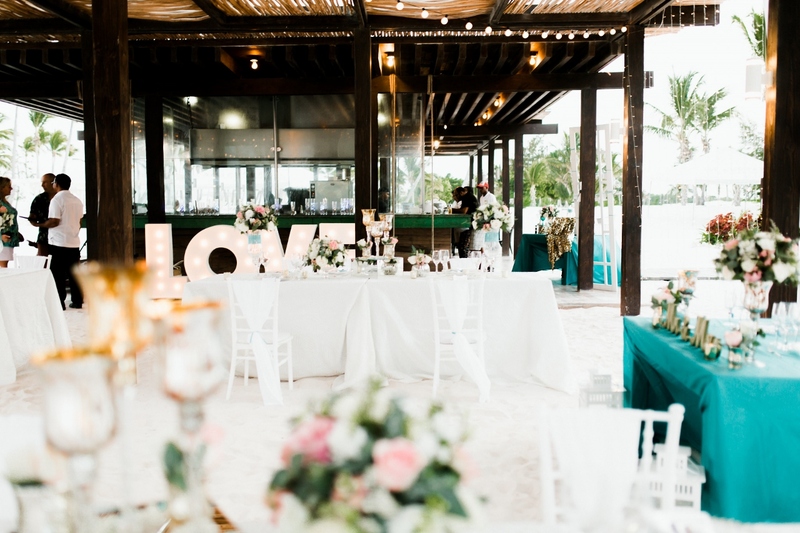 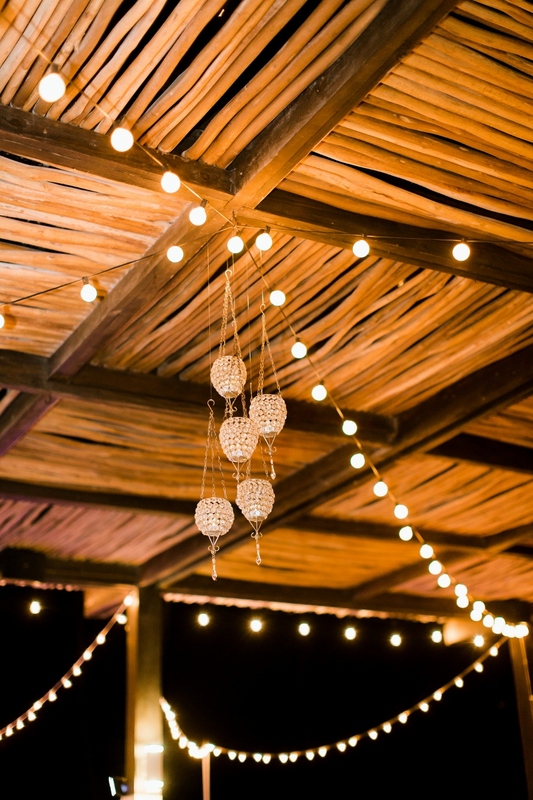 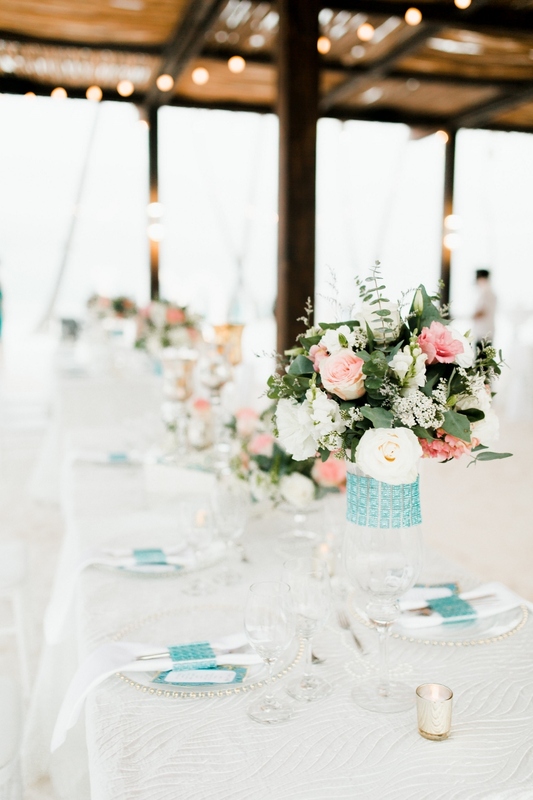 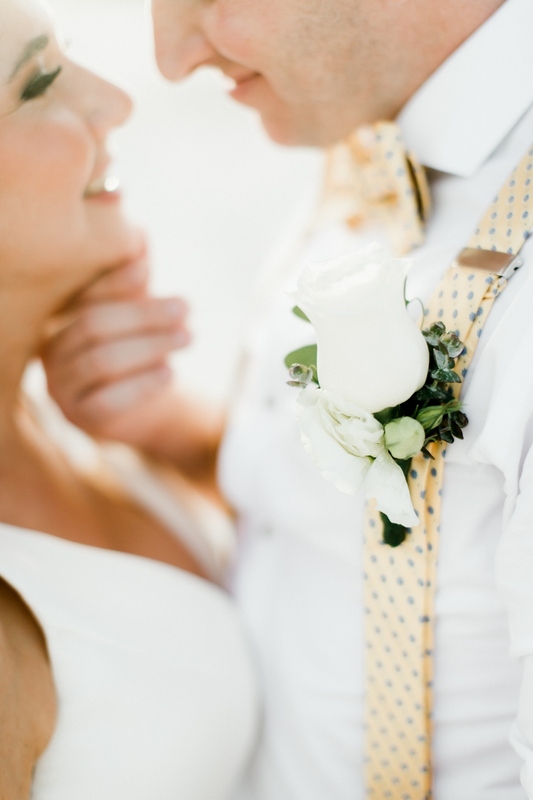 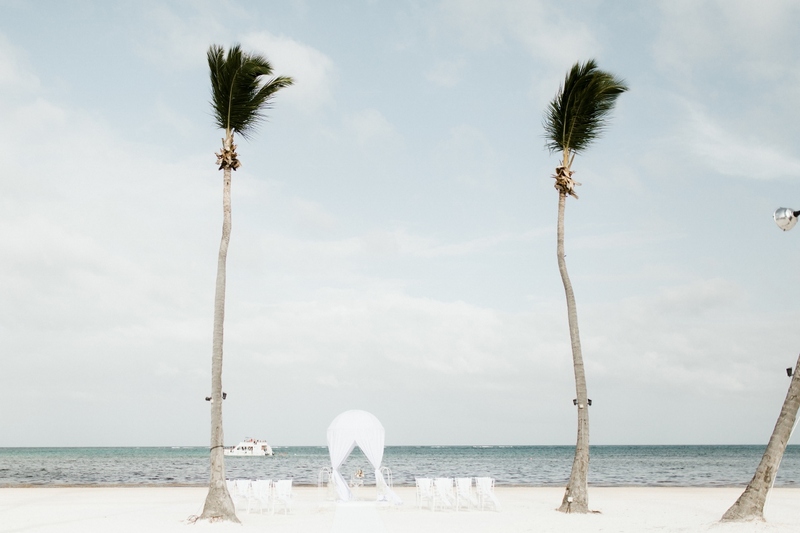 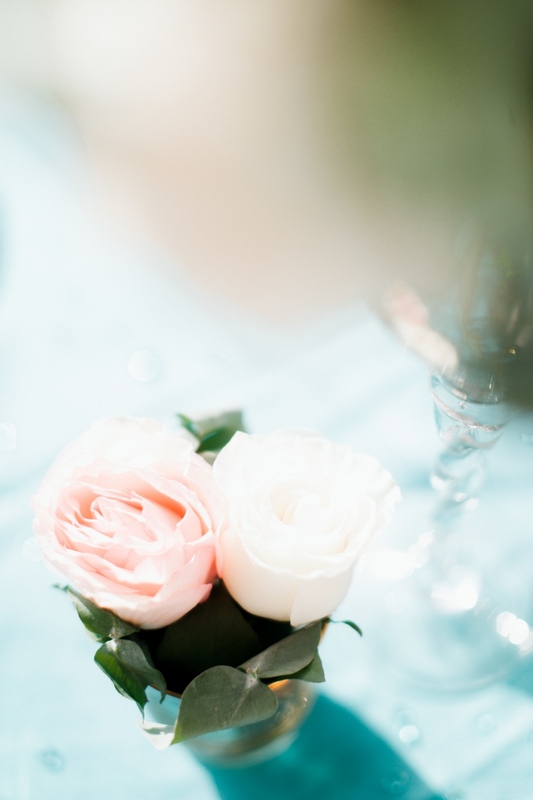 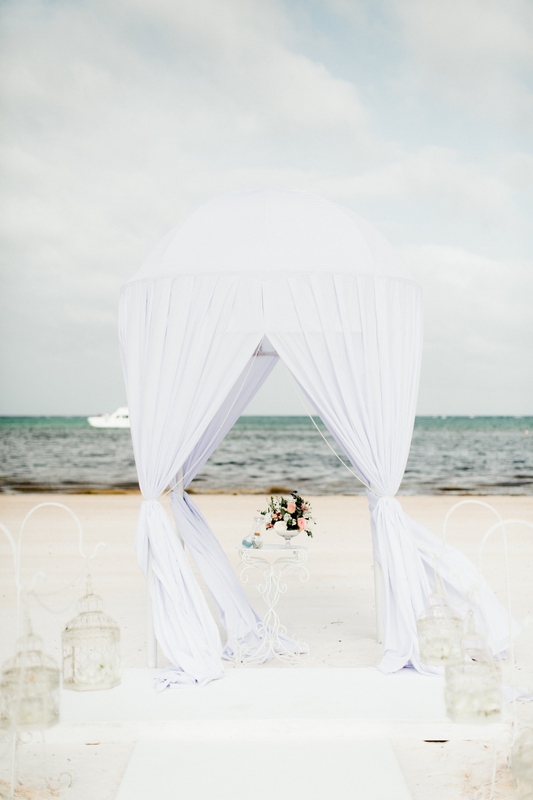 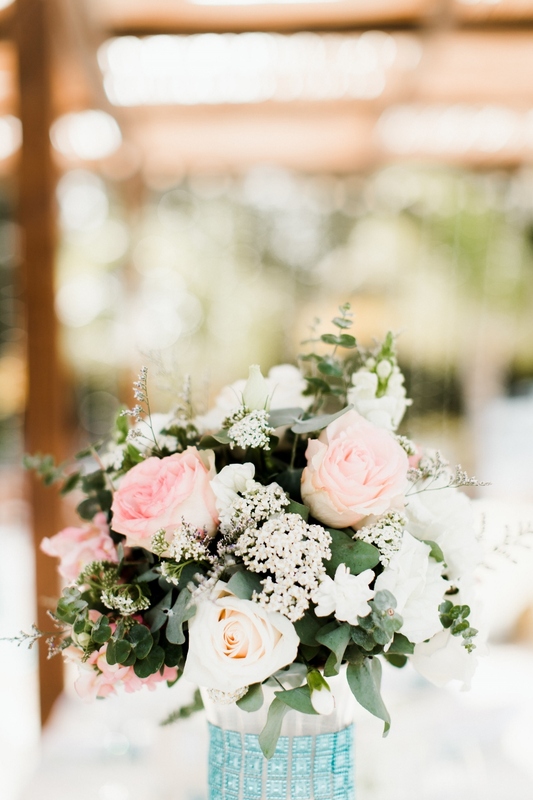 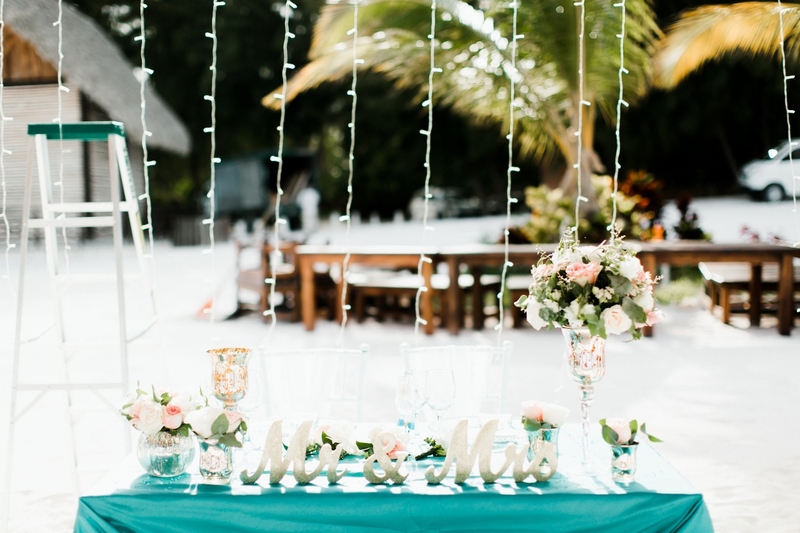 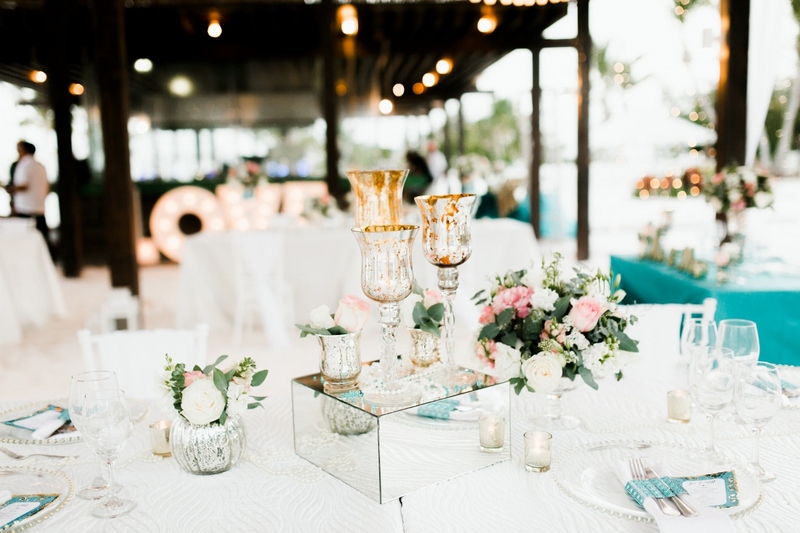 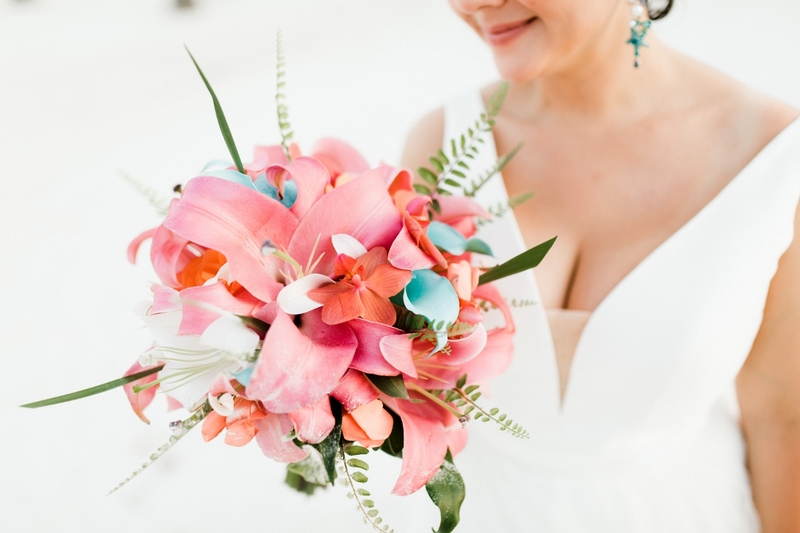 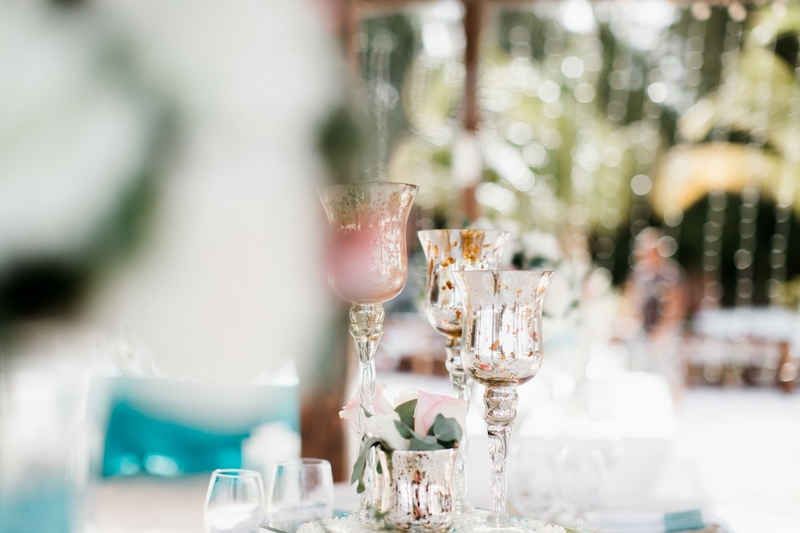 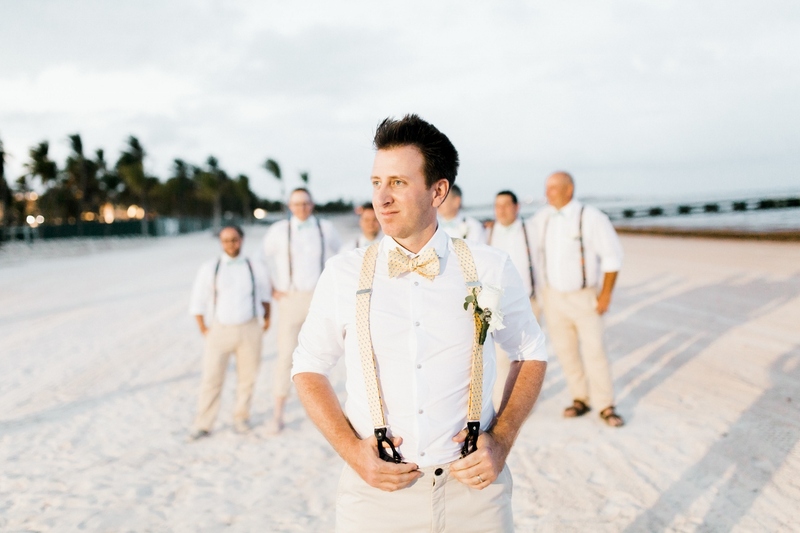 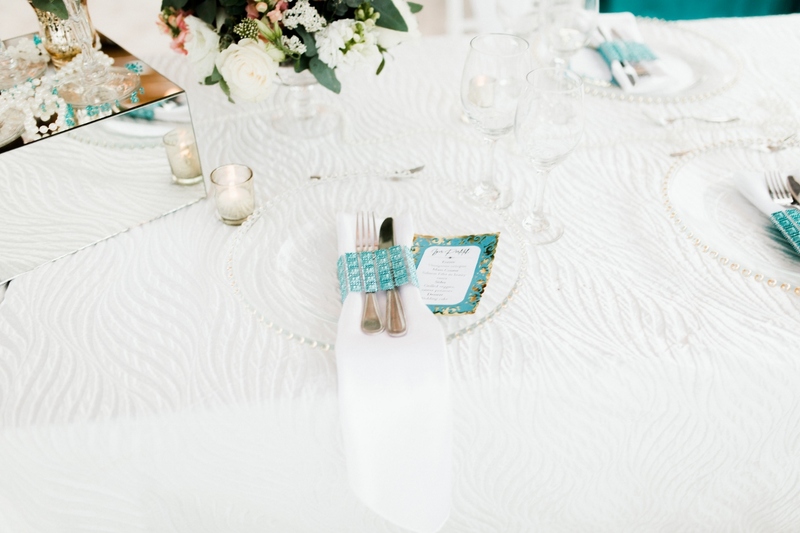 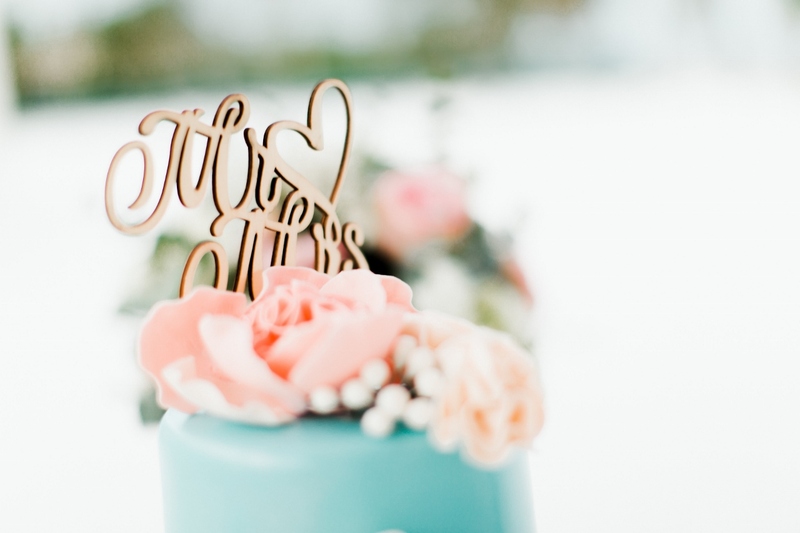 Zhenya and Danny’s Caribbean wedding was held at La Palapa Juanillo Beach Restaurant. 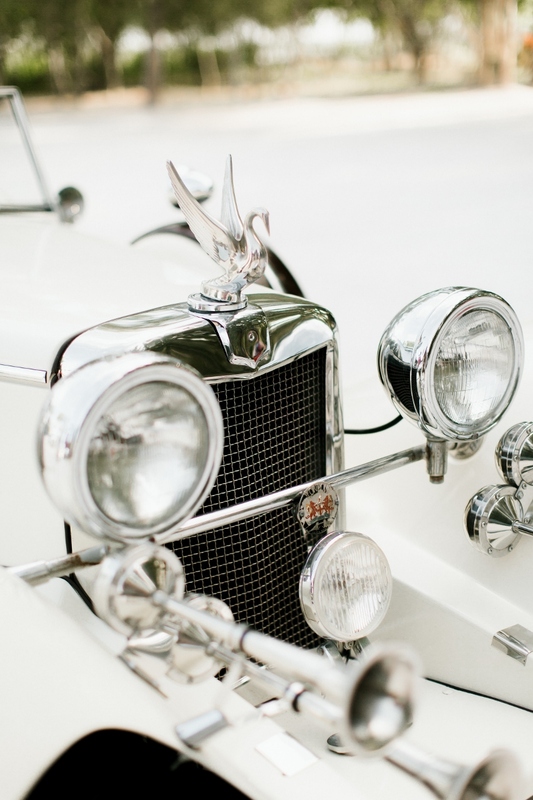 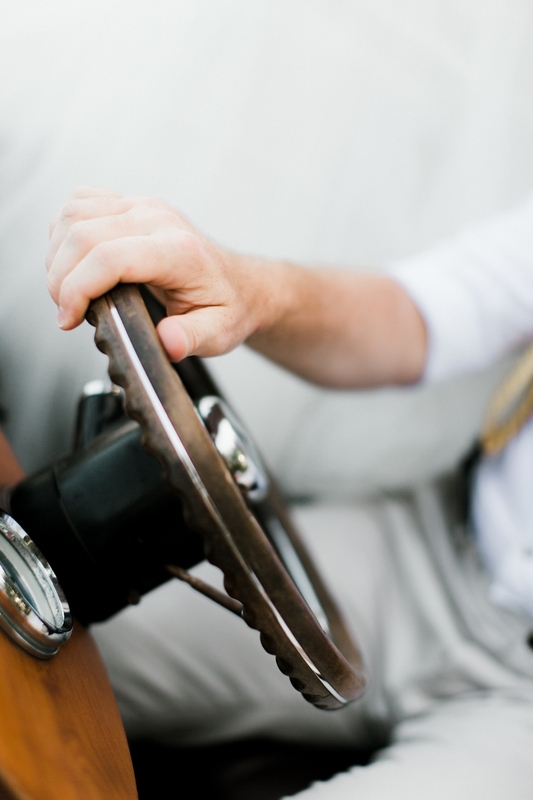 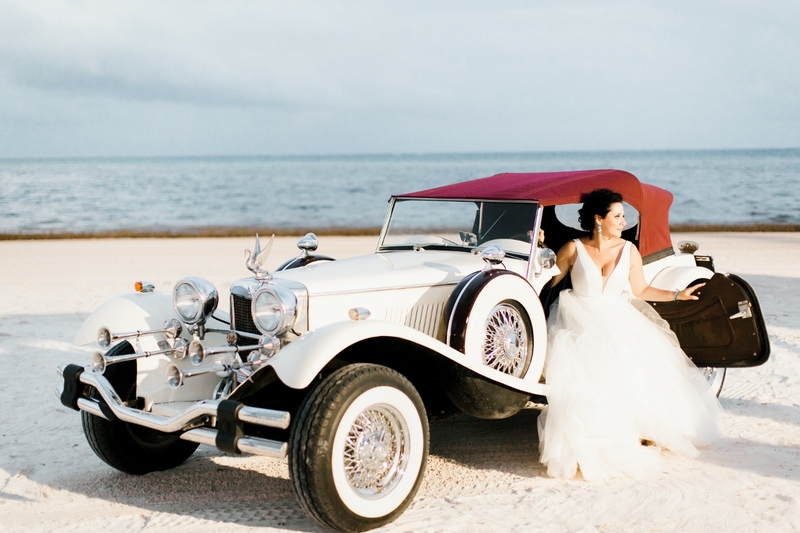 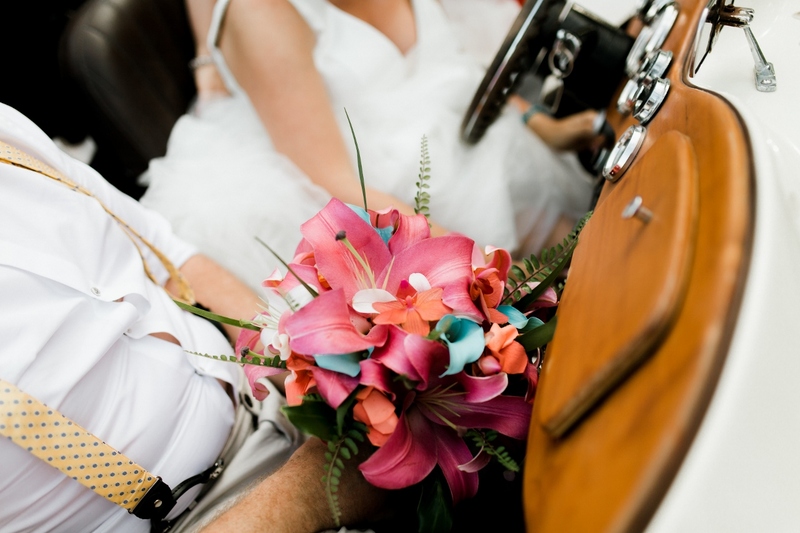 The couple arrived at their wedding on a 1958th chic retro convertible car. 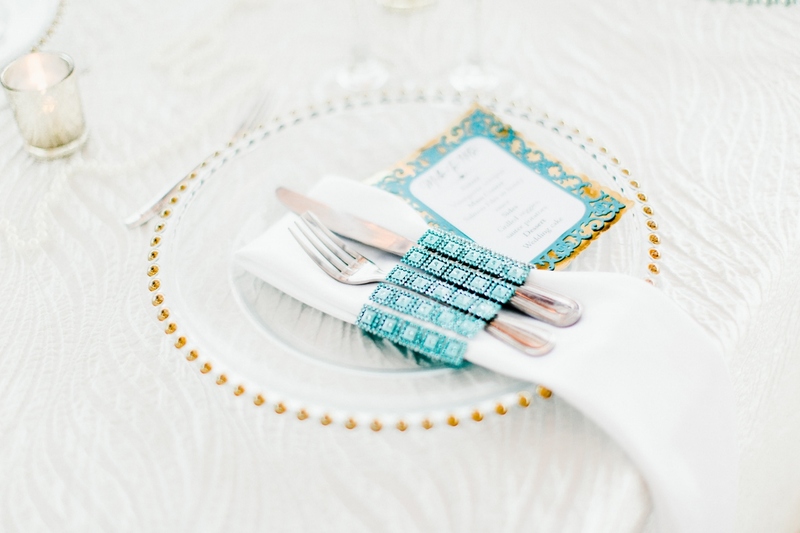 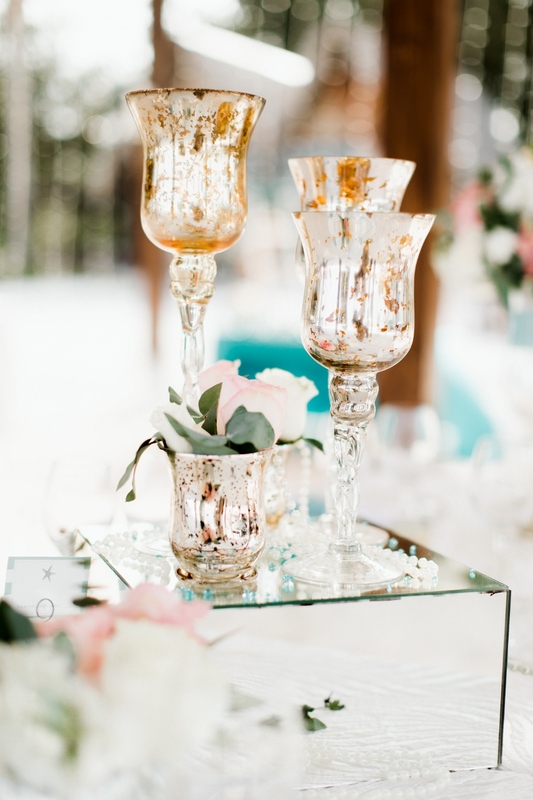 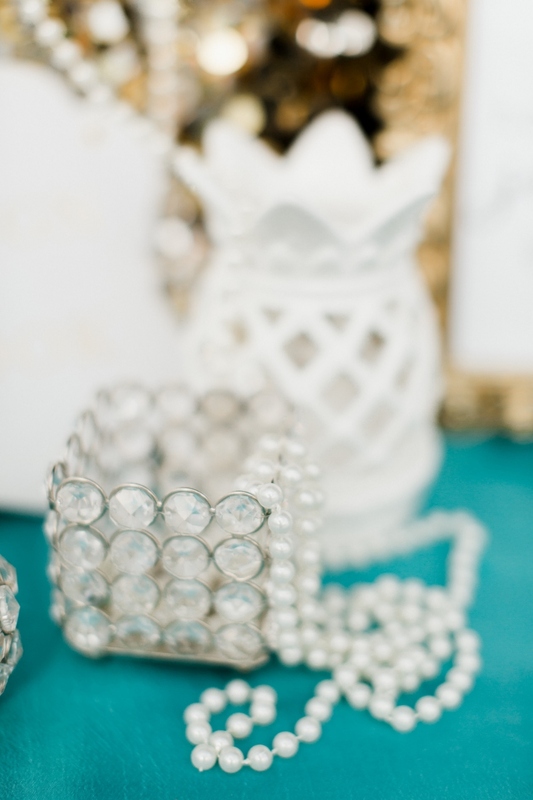 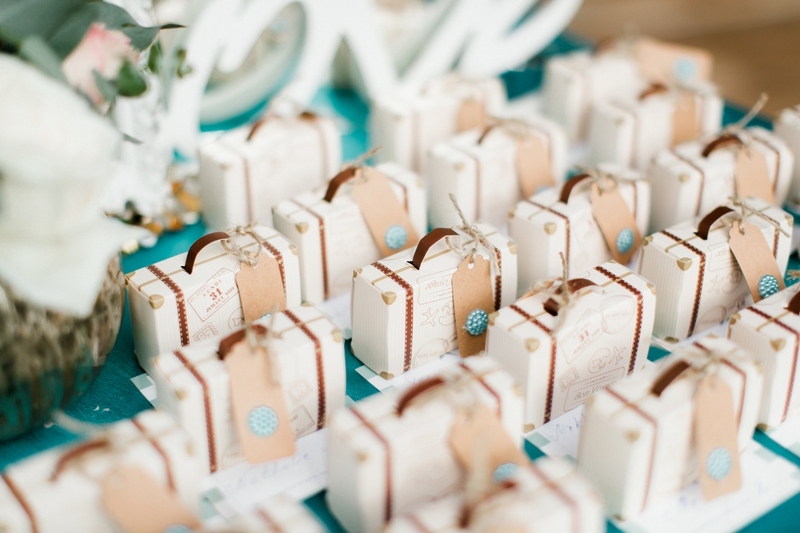 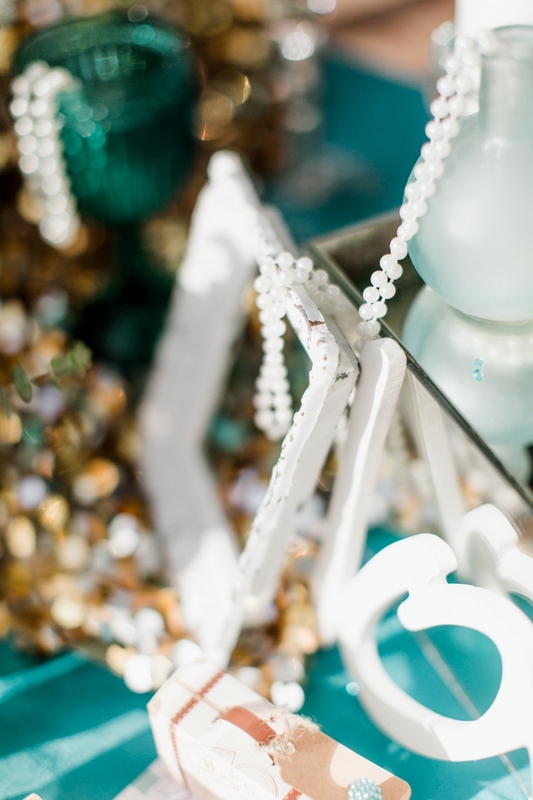 For the reception bride chose the Tiffany style. 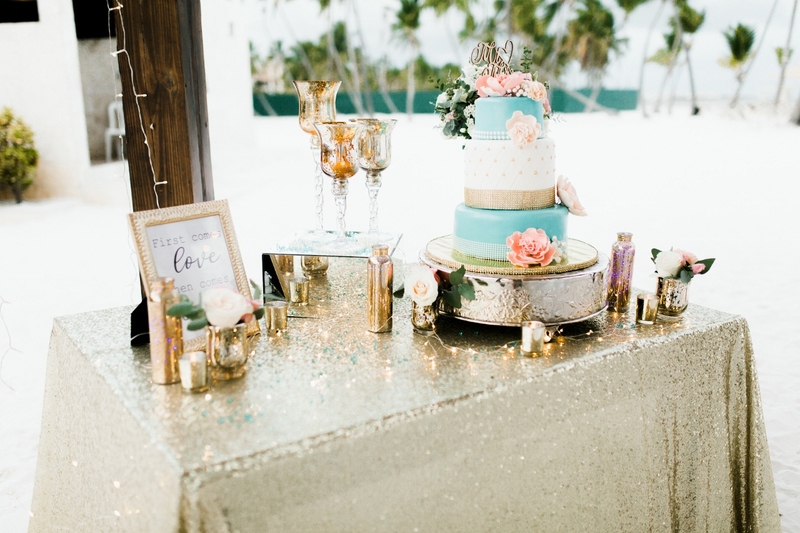 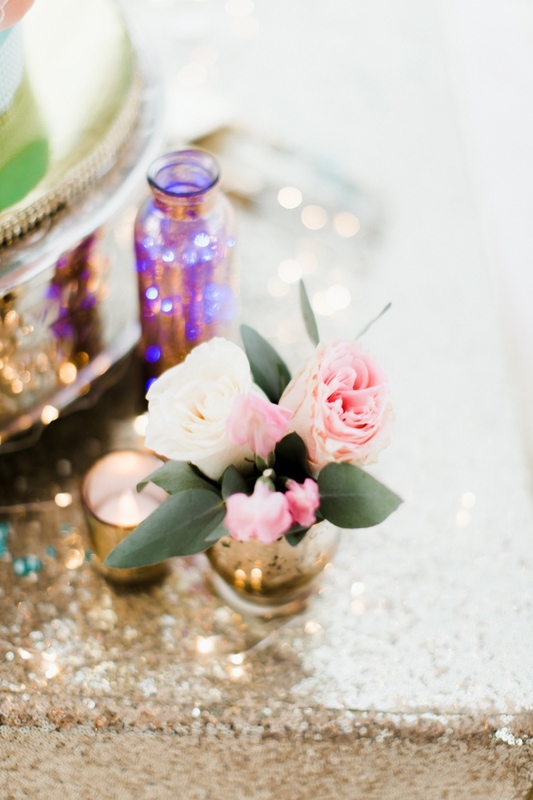 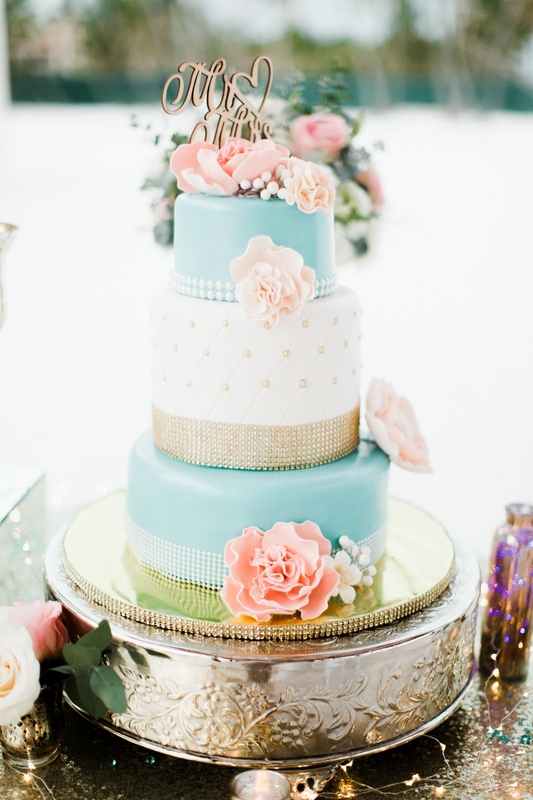 For the decorations were used mirrors, crystals and pearl threads, complemented by gold accents. 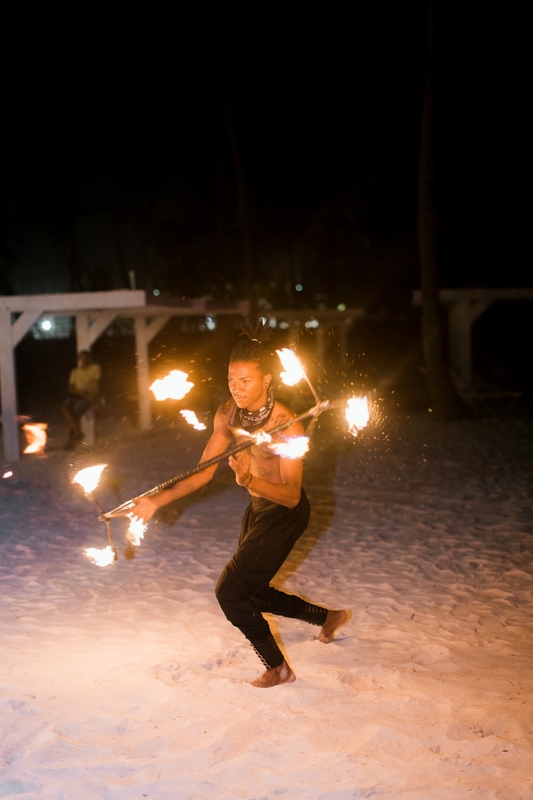 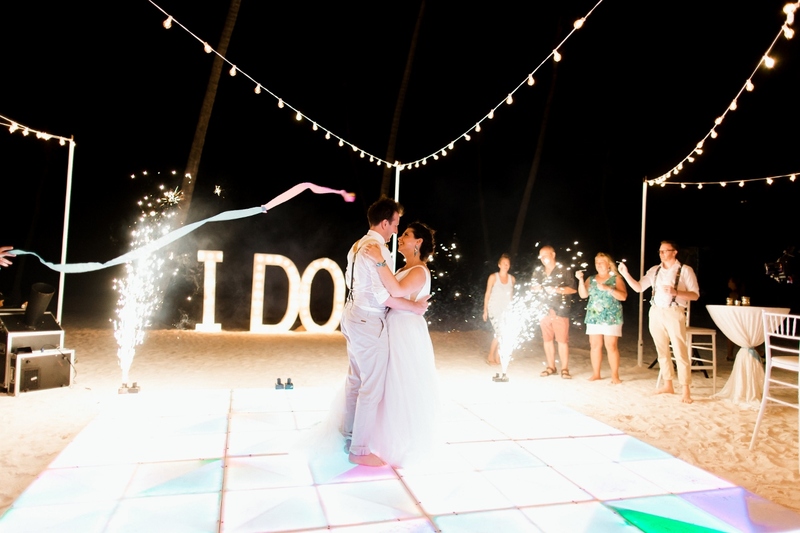 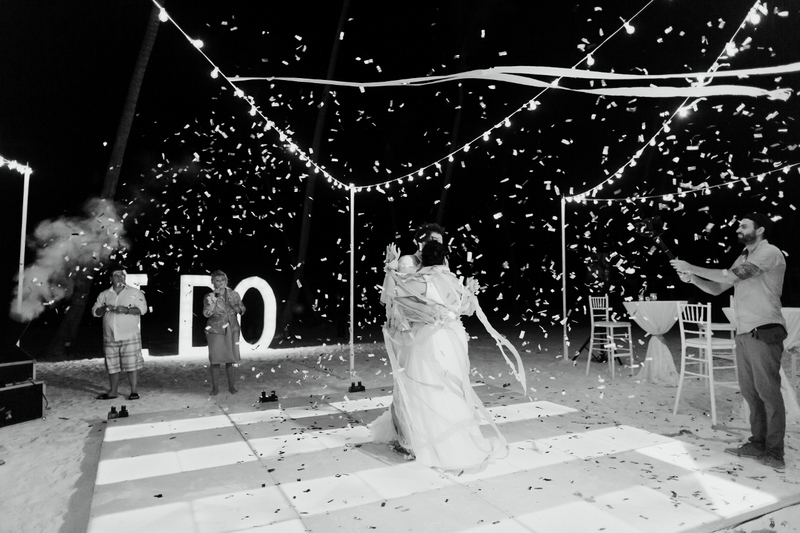 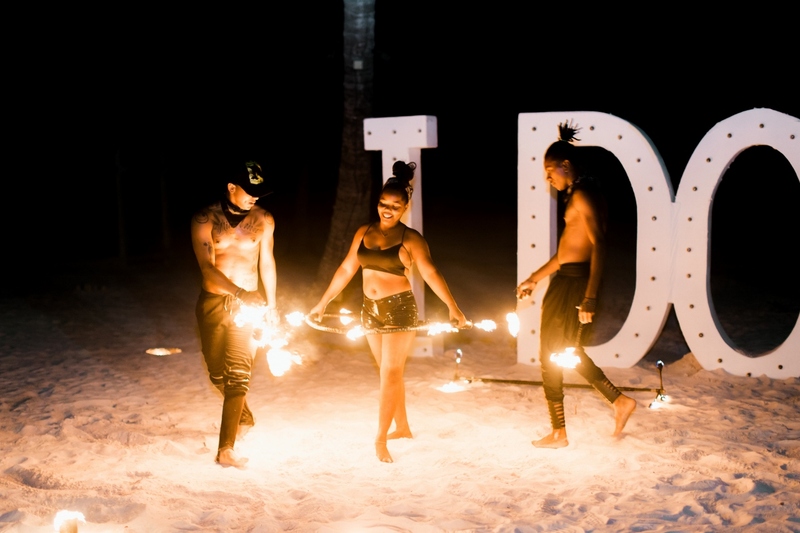 The wedding was completed by a fire show and a real fireworks!